To gain the Maximum Headroom underneath the mattress, we customize each loft to fit your exact mattress thickness. Use our Loft Leg Height Calculator to determine the best height for your room. 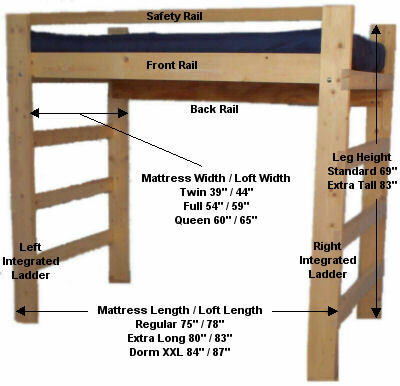 The measurements below indicated Inside the Bedand out side the bed. Inside/Outside. That takes into account the wood thickness.